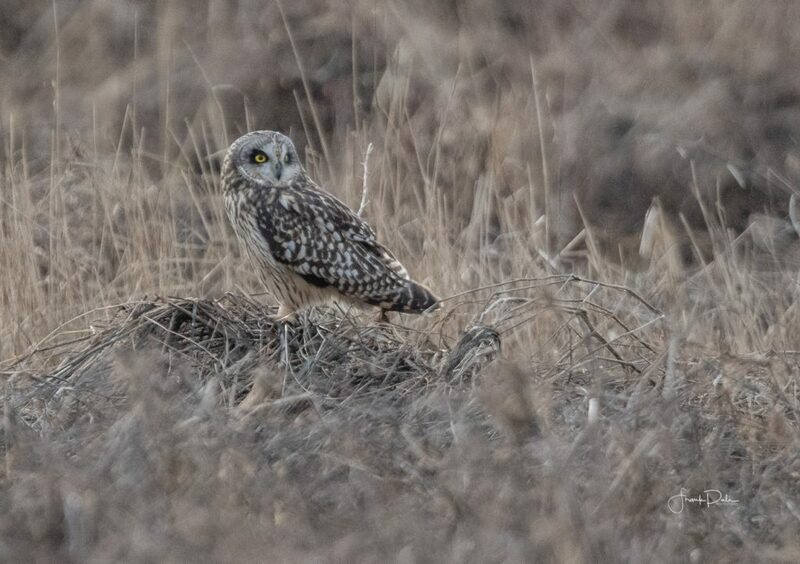 The last few days I have been out photographing the Short Eared Owls, Northern Harriers, Great Blue Heron and a few bird species in the marsh. 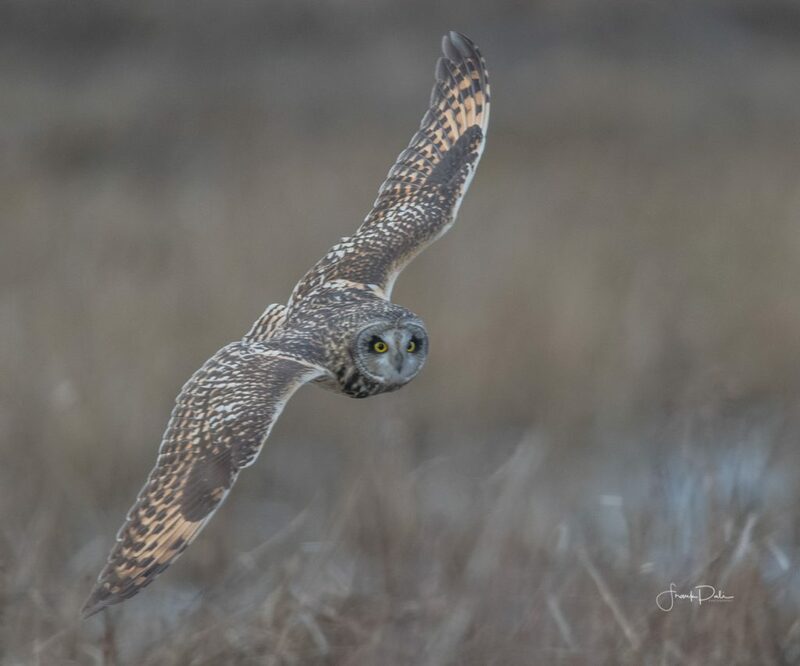 Brief background: Short-eared owls are most often seen in the late afternoon and at dawn or dusk. They primarily eat small mammals, but occasionally take small birds; their young sometimes eat insects. 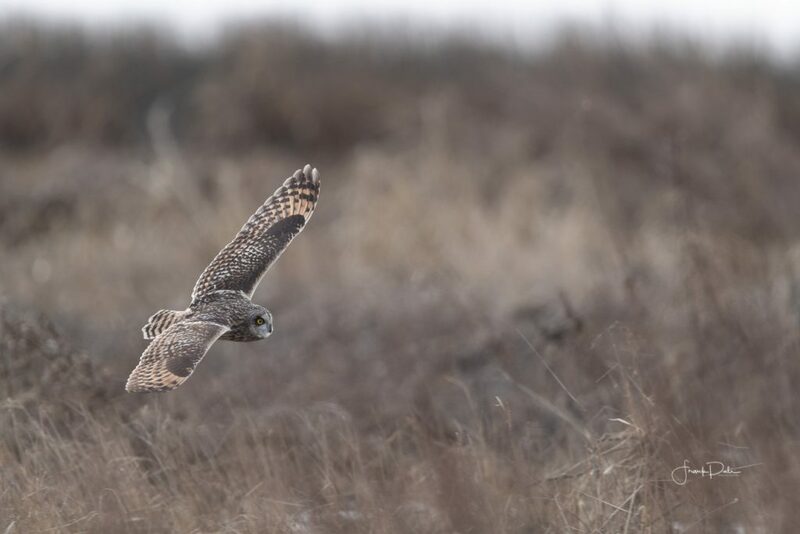 When hunting, these owls dive from perches or fly low over the ground and pounce on their prey from above. 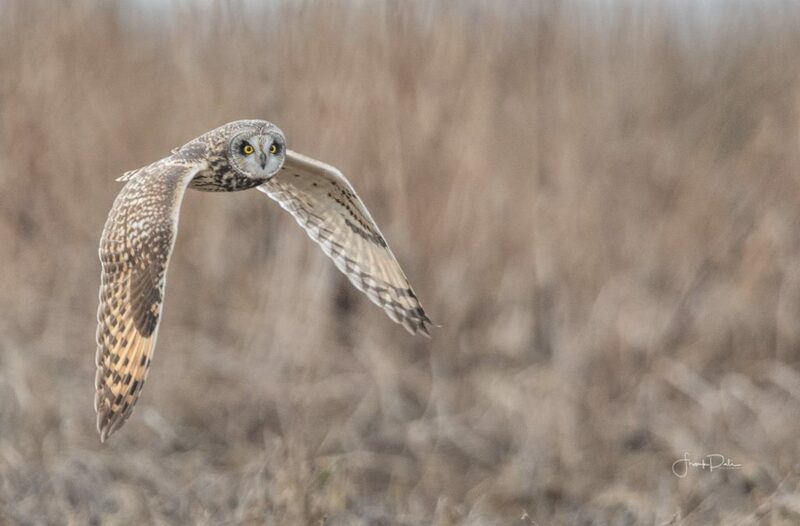 These birds prefer the open country of grasslands and marshes, inhabiting areas where small mammals are plentiful. Their population changes, breeding behaviors and nest success change from year to year based on their food supply. Breeding occurs in March through June. Their courtship entails elaborate flight displays that include wing-clapping, exaggerated wing beats and scuffles. They hunt by flying low over the ground, often hovering before dropping on prey. They find prey mostly by sound but also by sight. 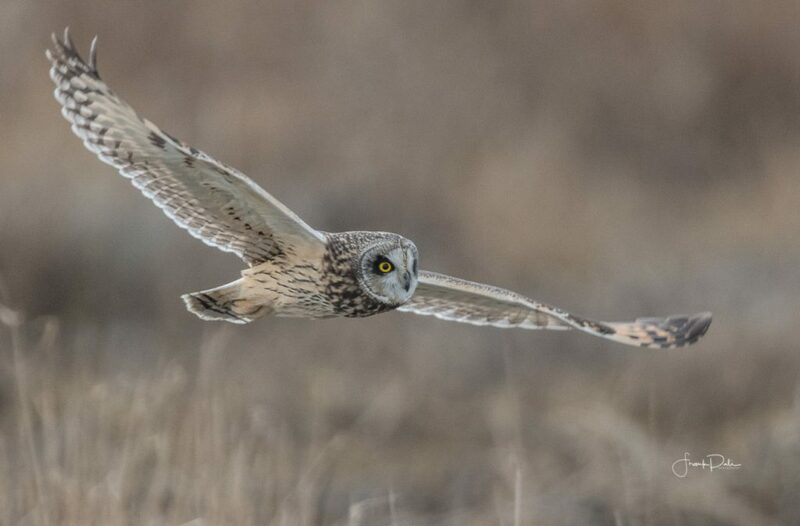 This owl hunt by day, especially in far north, but are most active at dawn and dusk. Sitting and blending in. 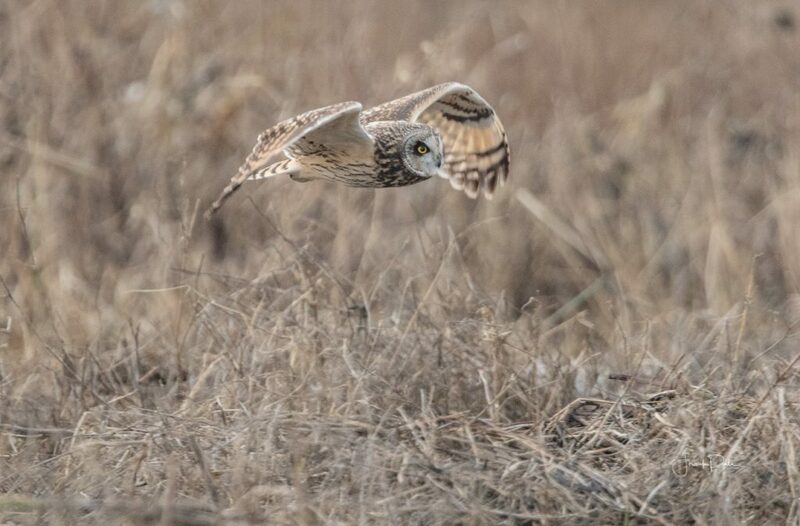 The Short-eared owls have terrific camouflage. They hunt by flying low over the ground, often hovering before dropping on prey. 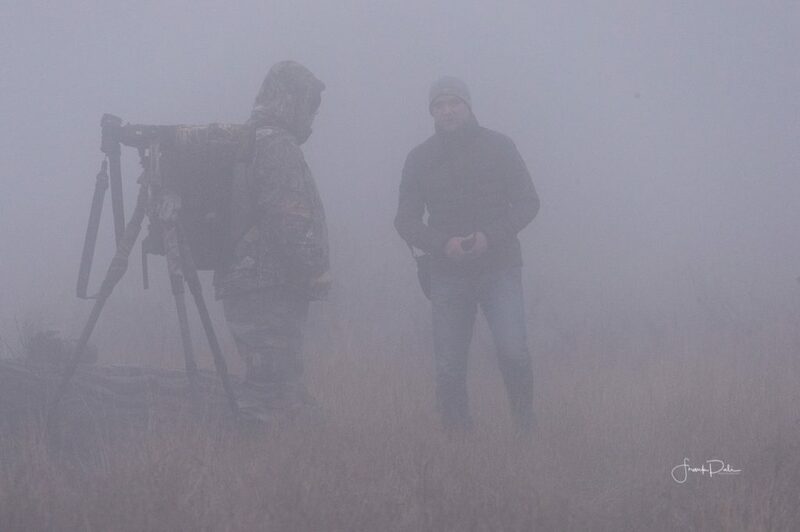 Fog rolled in making photography impossible, but shared some photography stories. May hunt by day, especially in far north, but mostly active at dawn and dusk. Did you know that the owls feathers are not water proof? Its hard to keep focus on these fast flyers while trying to follow them in flight. 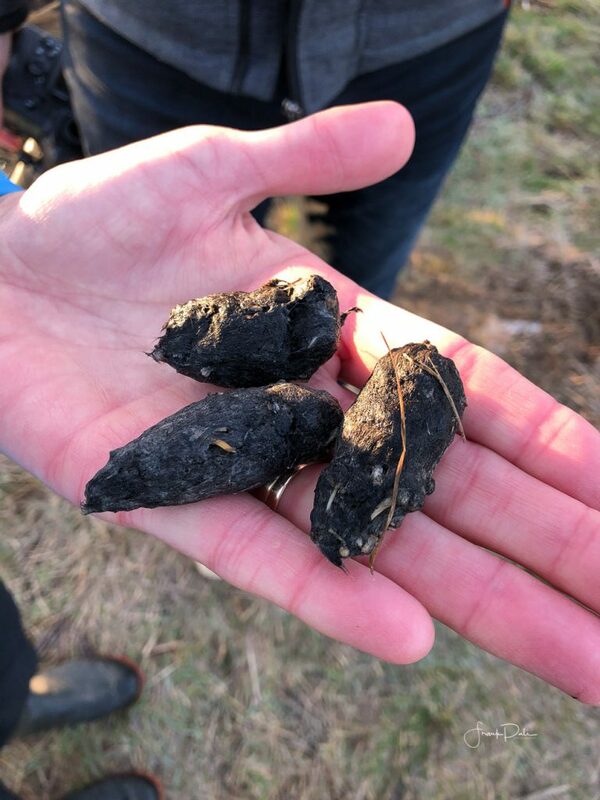 Owl pellets are scattered throughout the area. Despite the cold winter bite in the air, photographers were scattered throughout the area. 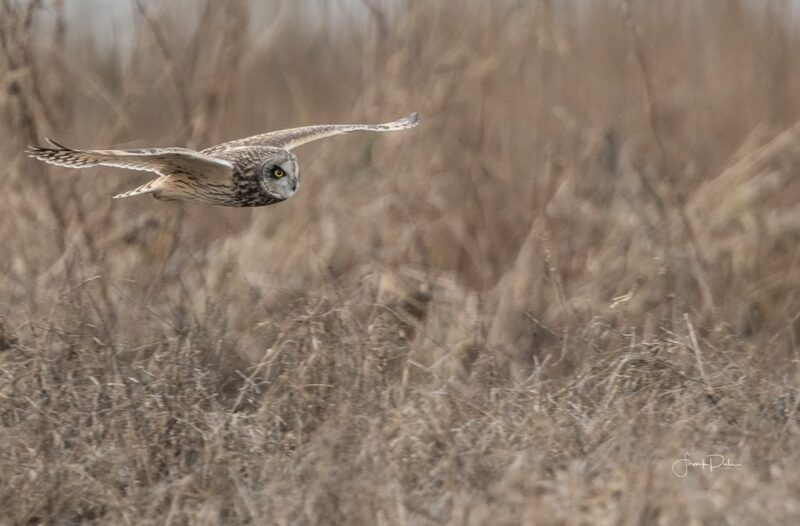 Everyone had their favourite spots waiting for the elusive short-eared owls having a fly by. We all wore our hoodies and some even got out the hand warmers. 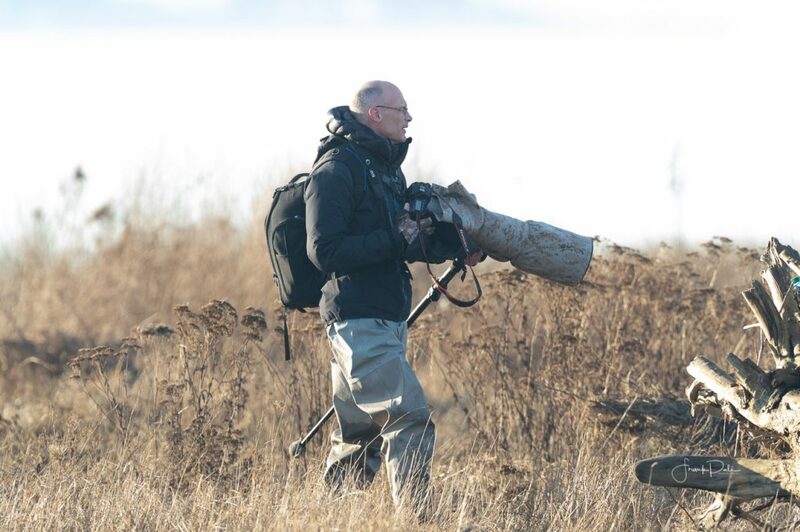 But it still was a great way to spend a few hours watching and photographing these magnificent birds in their habitat. Thansk for the kind words Mike. Stay tune for more images. Very nice shots Frank! We have them here in Vancouver at the dyke on Boundary Bay, not many this year tough, but Bald Eagles are plentiful. Keep up the good work.